Australian food and agribusinesses should be looking at how they can add value to basic commodities. This is the first in a new series of essays from CSIRO Agriculture and Food. Our next essay will look at the changing landscape of agricultural innovation and how new commercial trends and opportunities are emerging. For much of its modern existence, Australia has built its fortune on raw commodities; wool, wheat and a wealth of mineral resources. But as the mining boom slows, and issues such as food security, climate change and sustainability come to the forefront of global consciousness, a new opportunity is arising for Australian producers and manufacturers to position themselves at the forefront of the food and agribusiness revolution. Far better than being the next food bowl for Asia, Australia has the chance to be the delicatessen, supplying high-quality, sustainably-produced, health-enhancing premium goods to a growing market both nationally and internationally. By 2030, there will be around 3.5 billion people on the planet with middle-class incomes who are willing to pay more for trusted, premium food products. That is the market Australia can and should be reaching towards. Instead of resting on the laurels of raw materials, whether grains, meat, dairy or fresh produce, Australian food and agribusinesses should be looking at the myriad ways they can add value to these basic commodities. This shift in focus takes place at a time of significant change for food and agribusiness, brought about by resource insecurity and a changing climate, an ageing population with rising levels of chronic disease, choosier consumers, globalisation and smarter food chains. The challenge – and the opportunity – for Australian food producers and suppliers, is to pursue new markets and growth opportunities that are emerging from these megatrends. To do this will require investment to encourage innovation, enable the exploration and exploitation of new markets, and to overcome barriers that might exist. There are three significant things happening across the globe that are driving this shift in Australia’s food and agribusiness industries, each of which present different opportunities for Australia. The first driver is sustainability. By 2050, the world’s population is expected to reach around 9.6 billion people. The demand for food is expected to increase by 14% per decade; we will consume as much food in the next four decades as we have consumed in the previous few hundred years, representing around a 70% increase in production by 2050. Such an achievement itself isn’t unprecedented – food production has already doubled in the space of just one generation. But that increase has come at a significant cost to the environment that cannot continue to be borne. This time, production must increase but the environmental footprint of that production must halve. A focus on sustainability is not just driven by regulators; consumers are also demanding more environmentally-responsible products. In a 2015 Nielsen survey of 30,000 people in 60 countries, two-thirds of respondents were willing to pay more for sustainable brands; up from 50% in 2013. Australia already has a reputation for being clean and green, ranking 16th out of 80 countries in global perception of a green economy. But we still have some way to go in truly embracing what is becoming known as the ‘circular bioeconomy’; the shift towards closed loop production. Waste is a huge issue for food and agribusiness. One-third of food produced today around the world, or approximately 1.3 billion tonnes, is wasted. In Australia alone, 312,000 tonnes of food is wasted each year by the food manufacturing industry. Wastage happens at every step of production, from the farm to the fridge. When it happens at the consumer end of the supply chain, it’s not only a waste of the product itself but of all the energy and effort that has gone into getting it to that point. One way to deal with it is take the waste and turn it into something innovative and useful. Queensland company Natural Evolution has developed a method to produce banana flour – a high-value nutritional supplement – from bananas that don’t meet supermarket size and shape requirements, and which would otherwise simply be thrown out. At the same time, CSIRO and Horticulture Innovation Australia have been researching ways to find alternative uses for other ‘ugly’ fruits and vegetables, such as powdered products, fruit and vegetable concentrates or vegetable-dense snacks for children. Similarly, the fruit juice industry produces huge quantities of fruit pulp as a waste product. This pulp is not only nutritious but is also very low in sugar. Instead of being thrown away, it could be a source of flavour compounds, natural colourants and dietary nutrients, baking products such as pectin, fibre and pulp for textile or paper production, growth materials for other food sources such as fungi, and a myriad of other possibilities. Dairy waste such as acid whey can be used to create products for human rather than purely animal consumption; crop residues used for fodder, biofuels, bio-oils, paper and packaging materials rather than fertiliser; and plant stalks and leaves a source of nutrients such as carotenoids, vitamin D and functional oils. Packaging is another significant area of waste. Food and agriculture industries in Australia use 65-70% of all packaging produced in Australia, much of which ends up in landfills, waterways and the marine environment. While some are already addressing this with biodegradable and low-energy packaging materials, there are also opportunities to be found in recycled, re-used or even edible packaging. Some retail outlets, particularly in the US but also in Australia, are now moving towards a ‘zero-waste’ model, where customers buy in bulk and bring their own containers and bags. Sustainability is also about the cost of production. Meat is a major source of protein for billions of people – and demand is set to increase dramatically with increased wealth and living standards. However meat production is associated with significant environmental costs in terms of water use, methane production, pollution from animal effluent, and land degradation. As a result, markets and consumers are looking for alternative protein sources. While some of these are plant based, there is also a growth in appetite for new and different types of protein. The global market for insect-based foods is expected to grow to over US $520 million by 2023 and mycoprotein-based meat substitutes such as Quorn are already a staple in Australian supermarkets. Aquaculture also delivers alternative sources of protein; in Australia alone, the aquaculture industry is worth just over $1 billion, with the most popular products being salmon, edible oysters, pearl oysters and prawns. What we eat can impact our health in both positive and negative ways. The second key driver of food innovation is health and wellness. Chronic non-communicable diseases, such as heart disease, diabetes and cancer, are now the number one global killer, claiming more than 36 million lives each year; many in low- and middle-income countries. Food plays a major role in both the onset and the prevention of these diseases. Poor diet and nutrition are associated with obesity and other metabolic disorders that lead to heart disease and diabetes. However a diet high in fresh produce and whole foods, particularly vegetables, can significantly reduce the risk of heart disease, diabetes and cancer. Demand for food that is fresh, tasty and healthy is now the single biggest consumer trend in food. This also manifests as an interest in foods with lower levels of undesirable ingredients or elements, such as sugar, fat, gluten, or lactose, but also in foods with higher levels of desirable elements such as antioxidants, probiotics, omega-3 fatty acids and resistance starch. For example, barley with a high-fibre content and low glycaemic-index, canola with higher levels of omega-3 fatty acids and even gluten-free barley. Because of this demand, we are likely to see an increase in foods with specific health, wellness or even cosmetic claims, such as fortified foods and nutraceuticals. In tandem, organisations like CSIRO are now positioned to validate nutrition and health claims of novel foods, giving them greater credibility in the marketplace. There is also growing interest in the impact that the gut microbiome has on health, with evidence that the state of the microbiome may influence our risk of not only metabolic diseases such as obesity and diabetes but also cancer and autoimmune disorders such as rheumatoid arthritis. This is leading to a focus on so-called ‘personalised nutrition’. For example, CSIRO is working on a kit that can predict food preferences based on someone’s genes. Scientists are also modelling how food is processed in the mouth and digestive tract to better understand how this affects our tastes. Consumers are increasingly seeking out foods that are not only fresh and healthy, and minimally-processed but also convenient and easy to prepare. 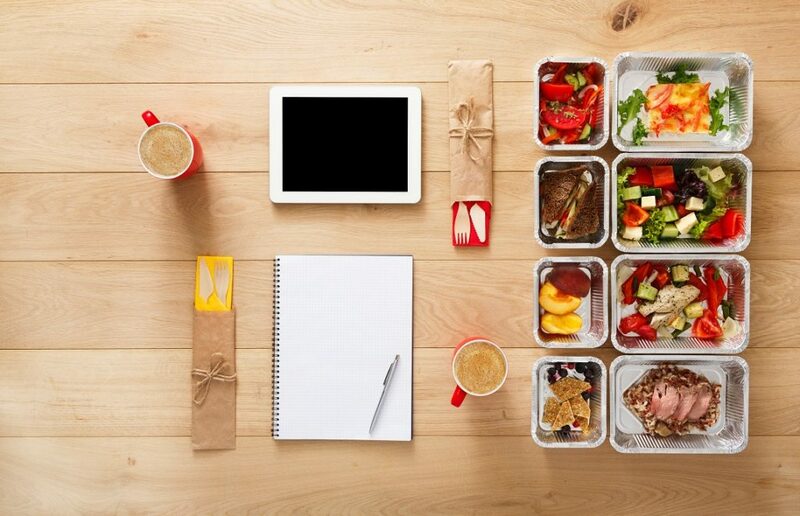 This is driving innovation in the sector, with products ranging from pre-packaged salads all the way up to do-it-yourself meals that come with pre-portioned ingredients and a recipe. New methods, such as high-pressure cold-pressed processing, are being adopted as a way to preserve the freshness and flavour of food products, such as fruit juice, avocado and chilli. The third major driver of innovation in food and agribusiness is consumer desire for premium products. The global luxury food market is estimated to be worth between US$50 billion-$140 billion. In China, where the middle class will account for 45% of the country’s population by 2022, there is an explosion in demand for goods that hold a particular status because of their quality, rarity and association with social class. A recent Austrade analysis showed that, for the first time, the majority of Australia’s growth in food and agribusiness exports from 2013-16 (60%) now comes from premium and value-added products. These luxury products, such as truffle-infused oils, beef selectively bred for tenderness, luscious chocolates and seafood from pristine waters, capture and convey some essence of Australia. The provenance of these food products is a big part of what makes them premium, and producers can take advantage of emerging technologies such as QR codes to capitalise on that. For example, a QR code would enable a consumer to watch a video of the farm on which their food product is grown, meet the farmer or producer and learn more about how the product is produced. 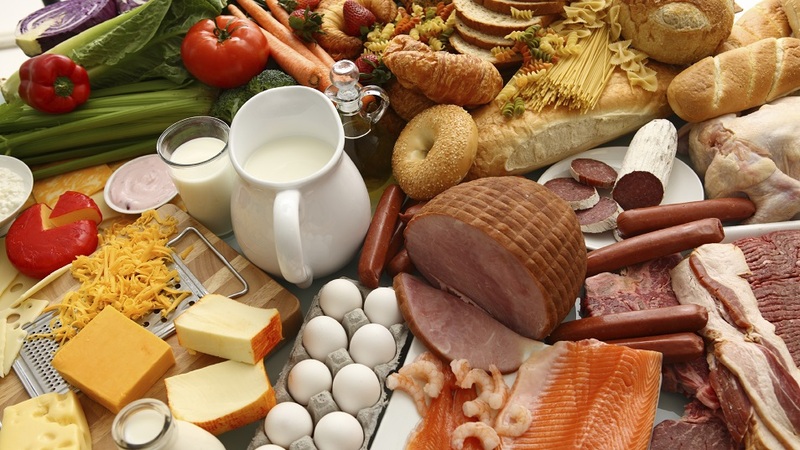 The premium market is also growing for novel foods and food products. In recent years, Australia has seen an explosion of new and unusual ingredients in the marketplace – quinoa, kale, seaweed and goji berries, for example – as well as specialty products such as microherbs and miniaturised fruits and vegetables. Taking one step further into the realm of the magical, on the horizon there are also such novelties as 3D printed confectionary, fruit and vegetables with altered flavour profiles and in unusual colours. Catering to the molecular gastronomy market are horticultural vapours and flavoured foams. There is even research being conducted into 3D printed meat. It’s one thing to identify market opportunities in the food and agriculture sector; it’s another thing entirely to exploit them. Currently, the Australian food and agribusiness sector faces certain disadvantages. Australian producers are mostly micro enterprises that can face an uphill battle to stand out in the global marketplace. They are also geographically dispersed, which can make it harder for collaboration. Australia’s track record in taking new ideas through to commercialisation is not as good as it could be, and there is relatively low spending on research and development in food and agribusiness. We also have complex regulatory arrangements, and an extensive list of accreditation schemes that at times can hamper innovation. But it also has some advantages. In addition to its clean and green reputation, Australia’s internationally respected food safety authority and tough biosecurity protocols reinforce the safety and trustworthiness of Australian food and agricultural products. The high proportion of small-to-medium enterprises in the agribusiness space gives the industry a nimbleness and agility, and boosts the potential for innovation. While Australian business are well placed to succeed, investment needs to be made in research and development, business action and ecosystem assistance to ensure Australian industry remains competitive. For example, with provenance and traceability becoming important factors in consumer purchasing decisions, there is a need for technology to support this. One possibility is blockchain, which can automate and digitise business transactions, detect tampering and even identify if duties have been paid. Producers stand to gain greater insights into their customers with blockchain technology as it can trace where products end up. Other technologies include DNA testing to certify both the origin and quality of raw materials, offering for full value chain traceability; and isotope analysis that can assist in mapping products to regions, thus authenticating provenance. Advances in image recognition technology may see products themselves becoming their own digital barcode, incorporating information such as weight and expiry date as well as details of provenance. In addition to these technologies, there is a need for actions that address issues such as fragmentation of the domestic market, and to identify key areas where research and development should be focused. Similarly with food safety and biosecurity, research and development is needed in novel systems such as microwave-assisted thermal sterilisation and hybrid high pressure thermal processing. We need enhanced domestic food testing capabilities, and at this point Australia would benefit greatly from a national centre of excellence in food safety research and collaboration. And if we are to address the problem of food waste, we need investment to help¬ innovators find ways to transform that waste into new opportunities. Australian food and agribusiness also needs help to collaborate; creating networks to enable the sharing of knowledge, resources and research not only with local competitors but also internationally. Collaborations between research organisations and SMEs could help catalyse innovation, and CSIRO is exploring the idea of a virtual incubator to support entrepreneurs in this area. Ultimately, this is a journey of innovation. The opportunity exists for Australian food and agribusiness to cement its global position and reputation not as a source of raw commodities, but as a producer and exporter of high-quality, safe, sustainable, healthy, premium, value-added produce. Grasping that opportunity will require strategic investment in key areas that are likely to most benefit Australian businesses and enable them to stand out from the herd. View this article as a PDF. Professor Martin Cole is Deputy Director of CSIRO Agriculture and Food. An internationally recognised food scientist and accomplished science leader, Martin has published and presented over 160 papers on many aspects of food science including food safety, food trends and innovation, novel processing and nutrition. He is a fellow of the International Academy of Food Science and Technology (IaFoST). Professor Manny Noakes is a Research Director with CSIRO Health and Biosecurity. She is considered a key opinion leader and trusted advisor in nutrition and health both nationally and internationally. Manny has published over 200 papers and been highly successful in translating this knowledge into consumer publications, in particular the CSIRO Total Wellbeing Diet. The CSIRO Food & Agribusiness Roadmap provides detail and examples of the themes explored in this essay. How green is your bread? Can you supply some references on the link between nutrition and reumathoid arthtitis? In relation to food safety there are two key points. 1 Australia’s food regulatory system promote a risk-based approach to food safety management consistent with international guidelines on risk analysis. Many food business owners and managers have missed the opportunity to have a good hard look at their operations and issues around robust food safety management systems, risk, compliance and good business practice are overlooked. 2 The consumer has a powerful role to play. Consumer feedback to food regulatory agencies and to the broader food industry is vital if we are to improve the level of food safety standards. I look forward to reading future essays. I hope future essays will put food into the political and social context in which we currently observe increasing food insecurity in Australia and increasingly poor diets for many Australians. If this trend is not corrected it will have ongoing and considerable political, ethical, economic and social consequences. Technical and scientific advances will not resolve these issues and it vital that they be identified and discussed now. The CSIRO is in a position to do this. I hope they can take up this challenge. Great article. Have you explored the circular economy?